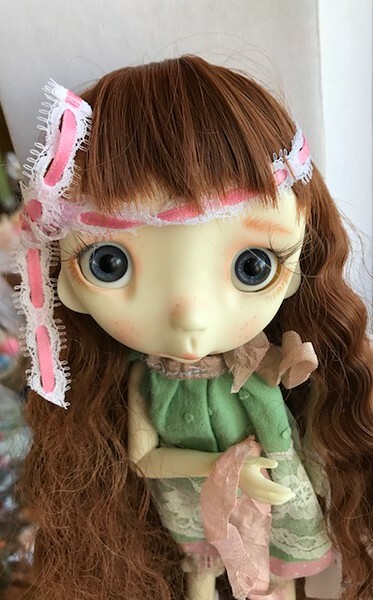 Muffin doll is designed, sculpted, dressed and handpainted by Chrishanthi, Greek Artist. 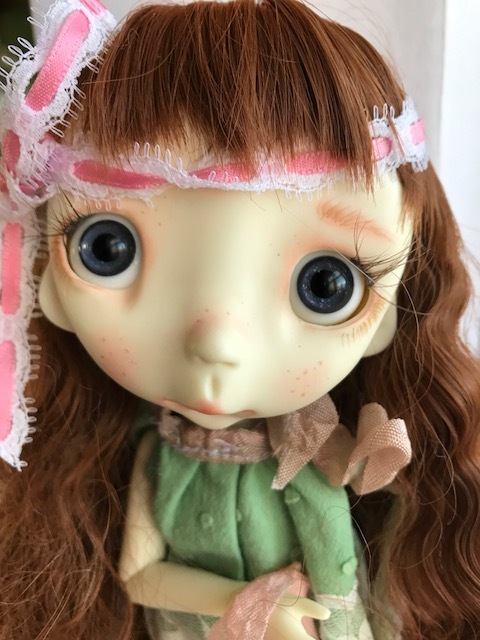 She uses a variety of fabrics, laces, dyed, vintage, and her imagination to dress her dolls! -Outfits and shoes as photo.